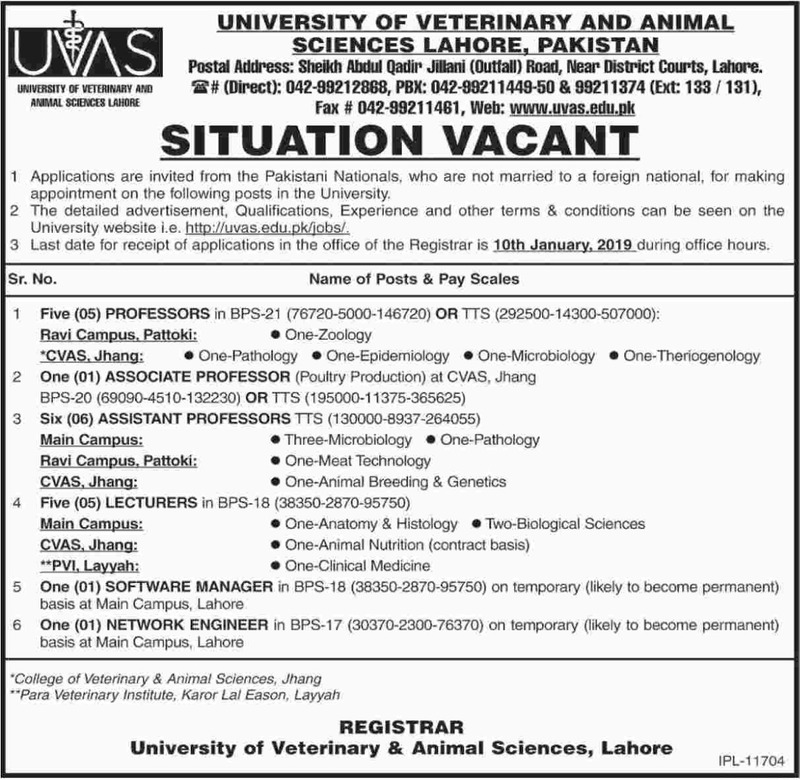 We are providing at this page UVAS Lahore Jobs 2019 University of Veterinary & Animal Sciences Latest. 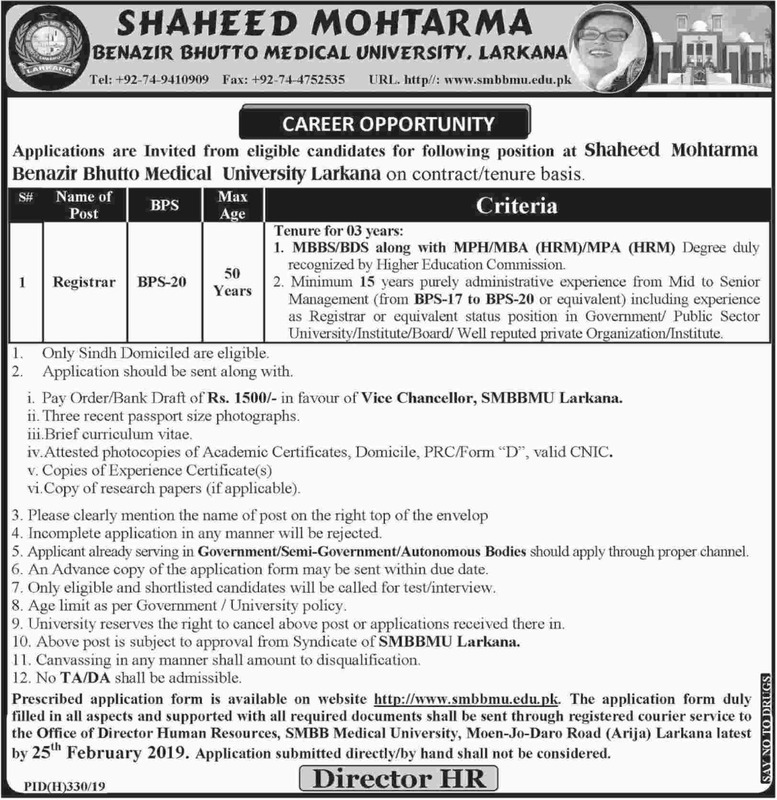 The positions of Professor, Associate Professor, Assistant Professor, Director, Assistant Director Research, Assistant Estate Management, Project Director, Lecturer, Project Manager Works are currently vacant. The closing date for receipt of applications is 25th February 2019. 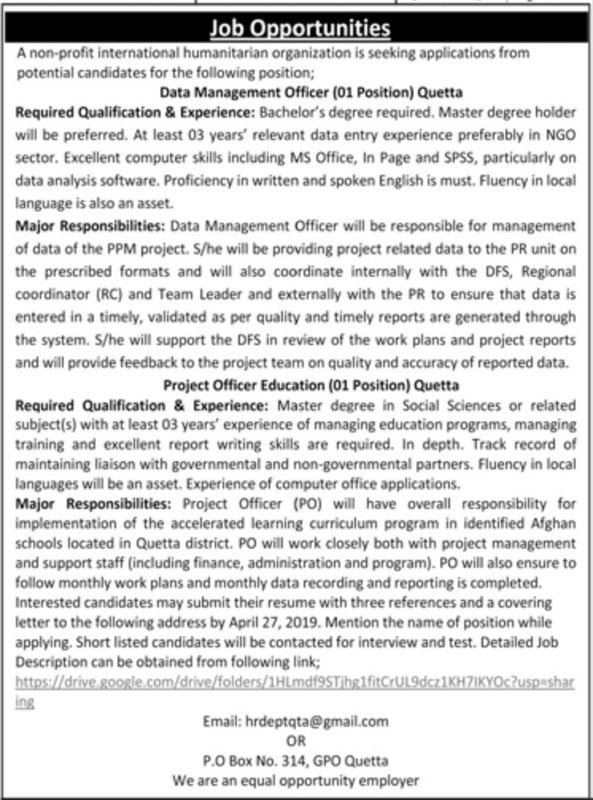 For details, visit www.uvas.edu.pk. 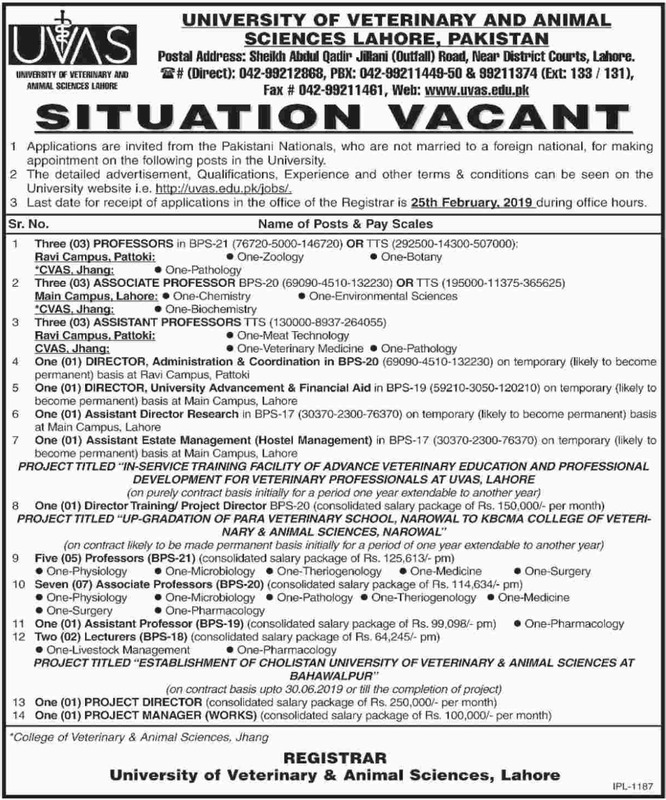 See job advertisement of UVAS Lahore published in Daily Jang dated 8th February 2019 for more information.